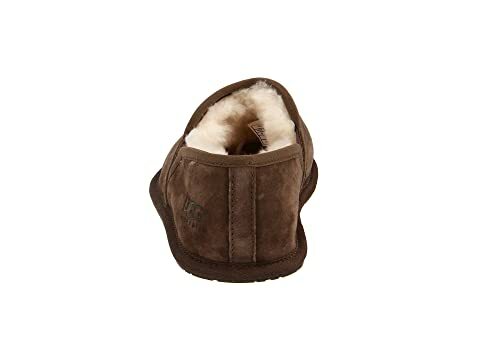 UGG states that the debossed 'UGG Australia' logo at lateral side heel has been removed on product manufactured for Holiday 2016 and forward. Please note, Zappos may have a mixture of slippers with the logo and slippers without the logo. 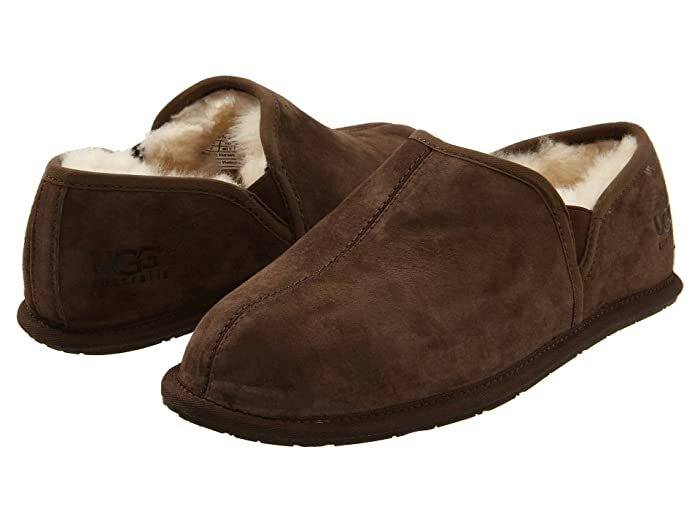 Both are officially licensed by UGG. 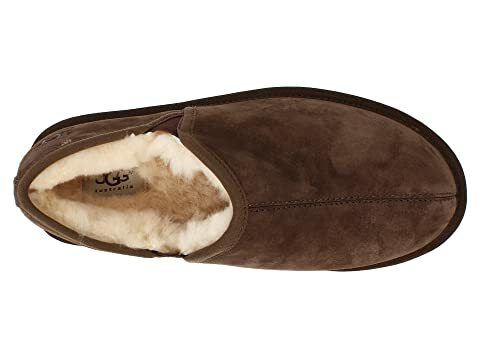 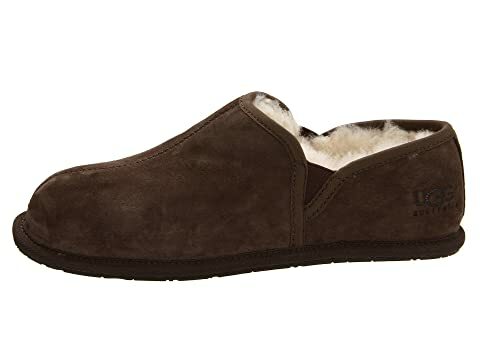 The UGG® 'Scuff Romeo II' slipper flawlessly weaves comfort and durability. 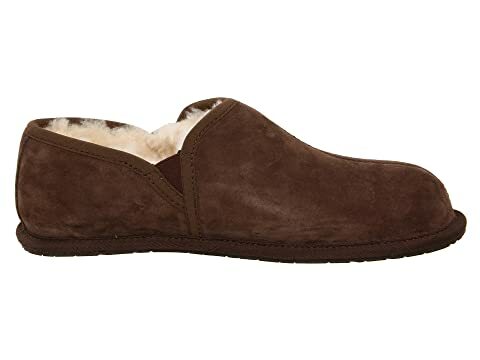 Sumptuously soft suede or smooth garment leather uppers for a well-heeled, classic appearance. 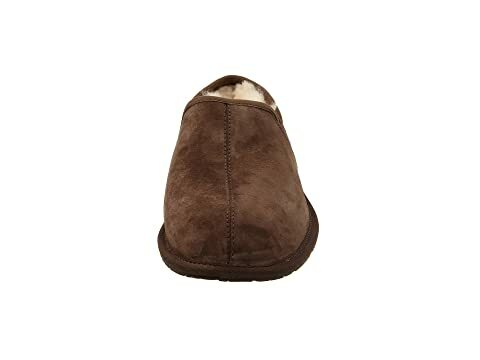 Genuine sheepskin sockliner naturally wicks away moisture to maintain dry, warm feet. 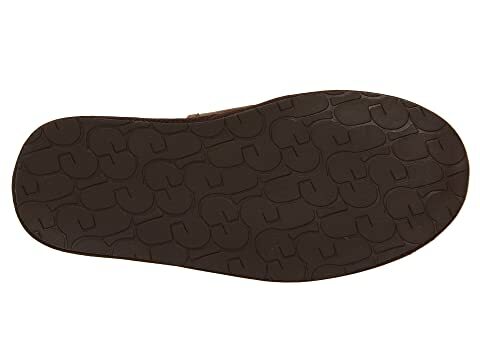 Molded rubber outsole enables outdoor wear for the paper or mail.